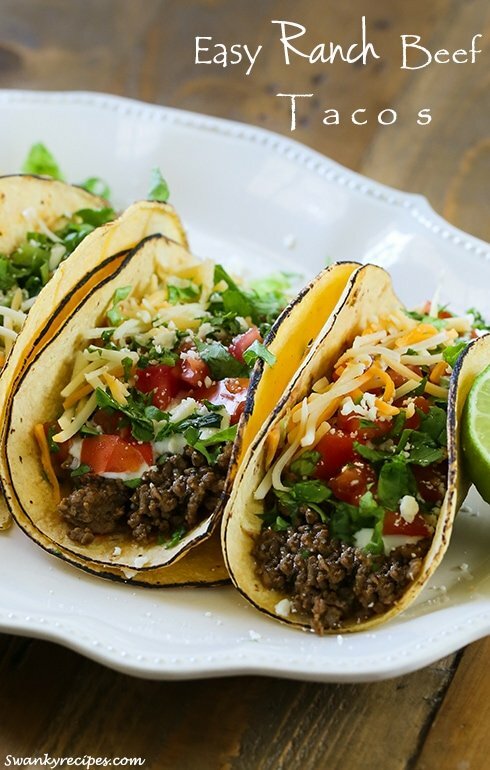 Savory ground beef tacos made with a crave worthy ranch and taco seasoning sauce. These easy tacos are stuffed in fire-roasted corn tortillas with traditional Mexican toppings. The best way to make tacos for a busy weeknight dinner, hands down. You’ve never had tacos this good until you’ve tried this simple combination! Tacos are one of the simple pleasures in life. 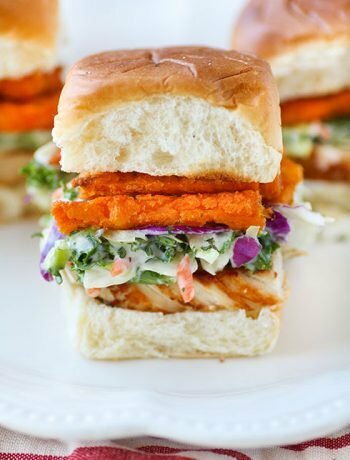 They are easy to make on a busy night and they can feed a crowd! I’ve made these tacos at least three times in the past two weeks. Each time I tweaked the recipe until it was just right. 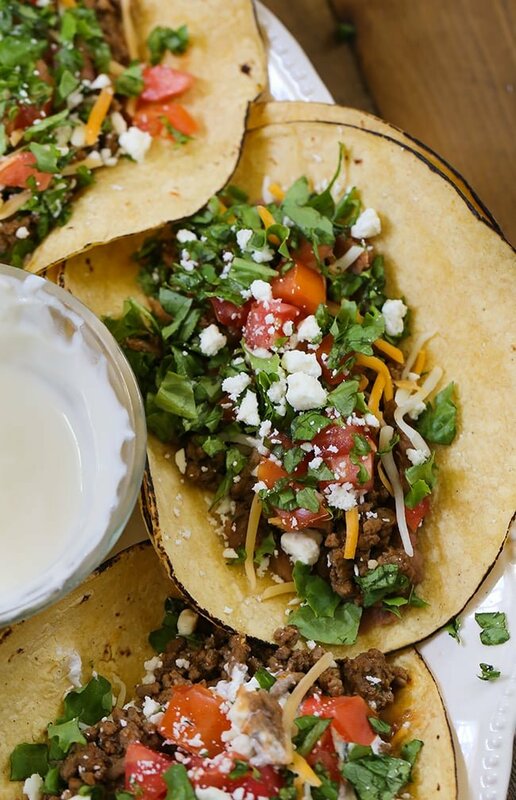 I’ve got to say, these ground beef and ranch tacos are crave-worthy and delicious! 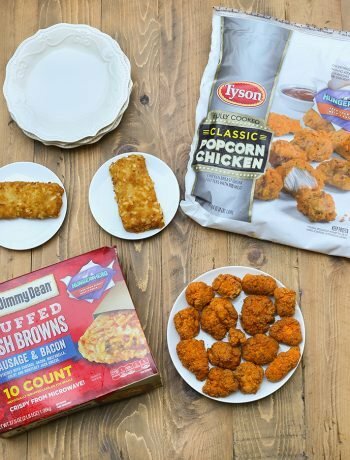 They are a family favorite right now and we love to make them! Corn tortillas, where have you been all my life? If you’re like me and never cared for the bold and dry taste of corn tortillas you’ll want to try this tip. Start by heating yellow corn tortillas over an open low flame on the stove top. Not only will this reduce that dry corn taste but it also adds a delicate crunch to the shell. If you don’t have a gas stove top, try heating them in the microwave. 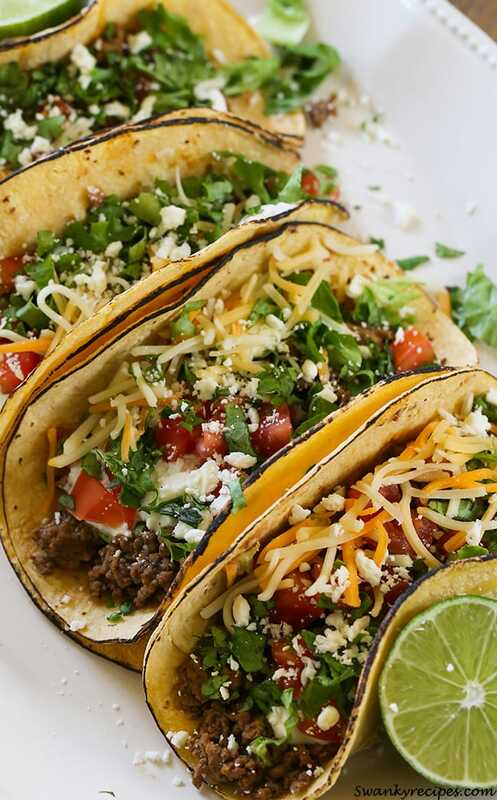 For these tacos, start with ground beef. Allow it to brown then add taco seasoning. Stir in water and add a packet of ranch seasoning. Squeeze the juice of a lime into the beef and allow the mixture to cook down. Get those corn tortillas prepared by cooking them over the stove top. Then, assemble the tacos like you’d normally do! 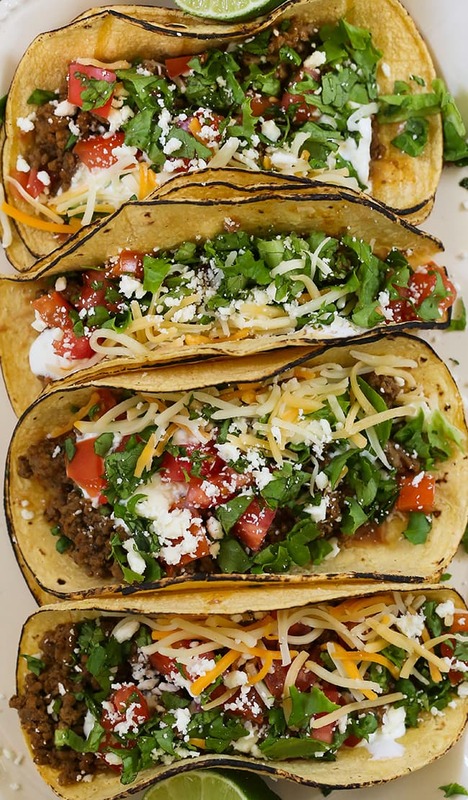 Savory ground beef tacos made with a crave worthy ranch and taco seasoning sauce. These easy tacos are stuffed in fire-roasted corn tortillas with traditional Mexican toppings. The best way to make tacos for a busy weeknight dinner. In a medium saucepan over medium heat, cook ground beef until brown. Meanwhile, chop lettuce and tomatoes; set aside. Drain fat, if needed. Return beef to saucepan. Add taco seasoning and ranch seasoning. Stir in water, juice of a lime, and minced garlic. Toss to coat. Reduce heat to a simmer. Allow mixture to thicken and reduce. Stir in root beer or cola, if desired. This will calm flavors down slightly. Toast corn tortillas over stove top burner flame. They can also be warmed in the microwave if desired. Heat refried beans according to package directions. Assemble tacos with beans, beef, cheeses, sour cream, tomatoes, and lettuce. Adding root beer or cola soda will calm flavors slightly. I like to do this when I add lime to taco meat. 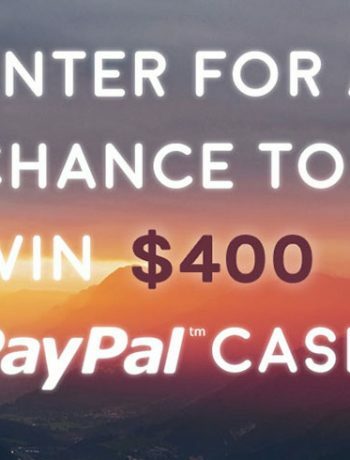 It is optional. Question: Are you talking about heating the corn tortilla over the bare gas flame? Like holding it with a pair of tongs? Or are you talking about heating it dry on a cast iron, etc. skillet? Hi Don. I place mine on top of the cast iron burner grate over the gas flame. The cast iron design allows for flames around the edges and it browns the shell nicely. However, if you don’t have a gas stove, heating them in a toaster will work, too. Just be careful both ways not to scorch the corn shell. Toasting the corn tortilla is a total game changer as it sort of cooks that raw corn taste. Here’s what I do: Turn burner to heat level 3. Place tortilla shell on stove top grate (cast iron for gas or coil for electric-although I’ve never tried on a coil grate). Allow it brown slightly, flipping it over with a pair of tongs. This is just a fancy way to toast the shell. Hey thanks for clarification on that. I have gas so I can use your method. I like the looks of those tacos a lot. It will be different than how I normally do tacos but I like trying new techniques.